A high quality bituminous paint for marine use. Teamac Metalastic Black Bituminous Paint is high quality bituminous solution for marine, industrial and agricultural applications. It forms a waterproof, weatherproof, corrosion resistant coating. It is resistant to low levels of alkalis and acids and can withstand prolonged oxidisation. 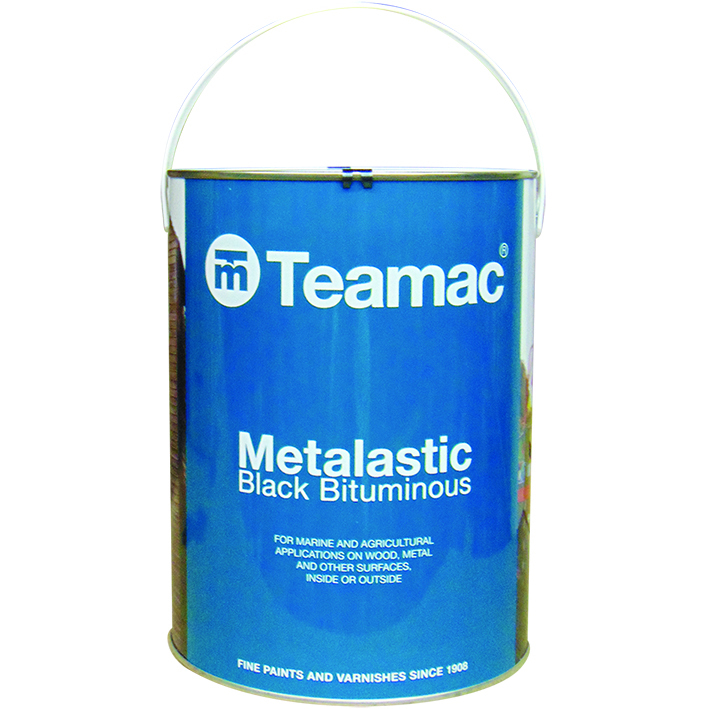 Teamac Metalastic Black Bituminous Paint can be used as an economical coat on coat protective coating. Can be used direct on wood, metal, ashphalt and concrete.